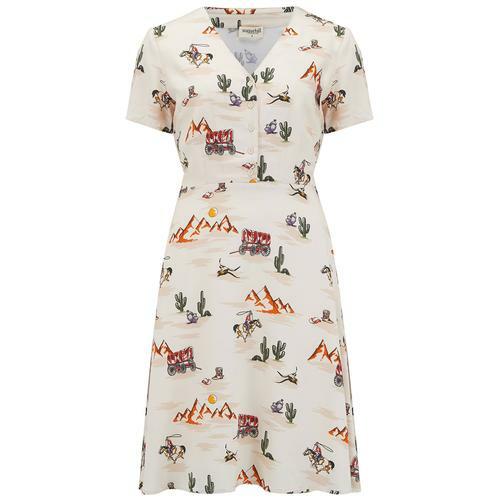 A perfect sunshine dress from Collectif. The Maya Peachy sundress is perfect for hot summer days, down at the beach or spent poolside. 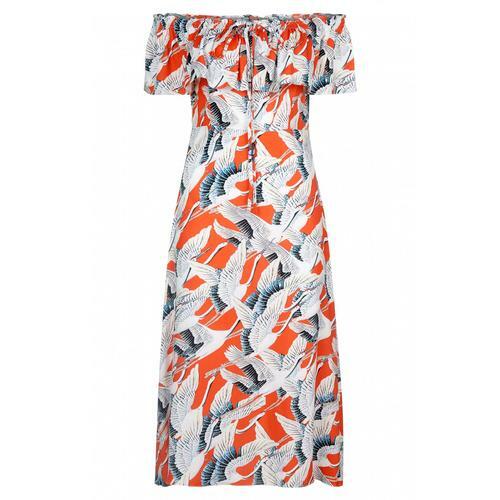 Retro 60s style sundress in a mini length with all over vintage 'peachy' print. 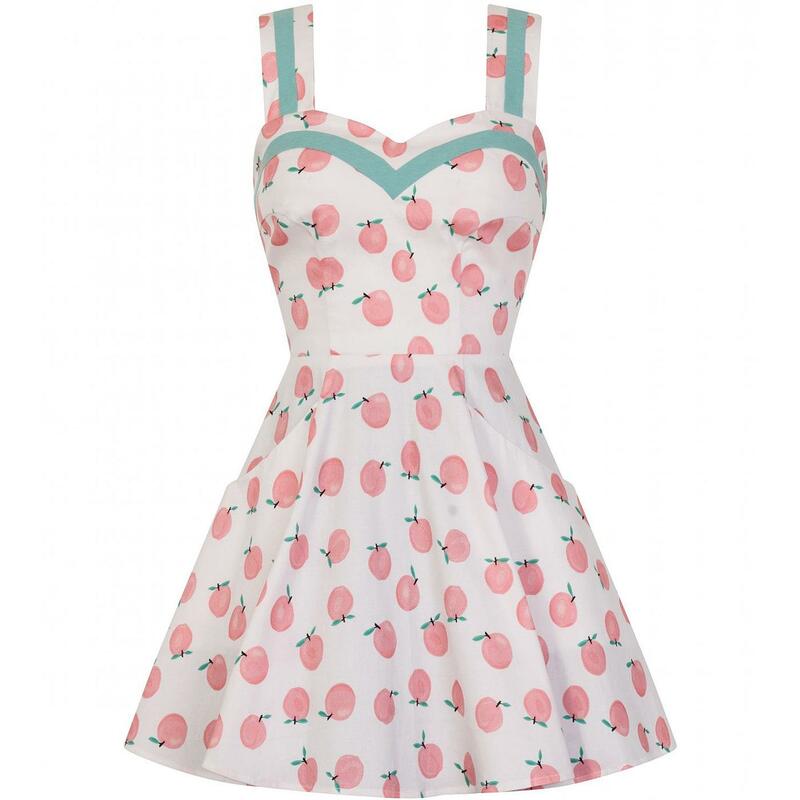 Retro sweetheart neckline, wide shoulder straps and curved front pockets. -Maya COLLECTIF Retro Vintage 60s Mini Sundress. -Stretch cotton covered in quirky, illustrated peaches.